What Are The Measurements Of The Sooper Sign Brackets? Knowing the exact dimensions to work with is crucial for most undertakings – especially if you you you are dealing with a banner or sign mounting project. 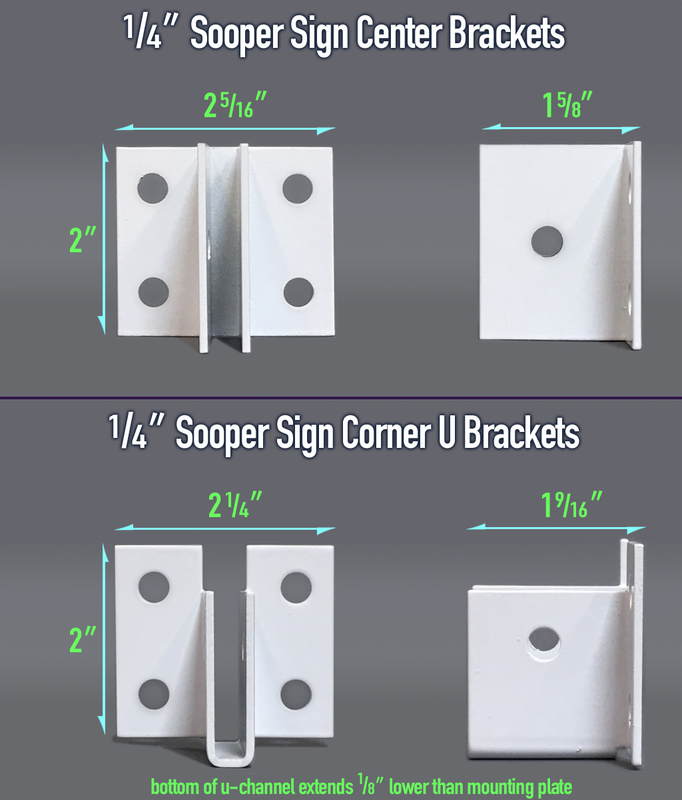 Every month or so, we get requests for the measurements of our Sooper Sign Brackets and we figured it was about time we detail those graphically for quick, easy reference. We took photos and have clearly listed all dimensions for each of the 3 bracket sizes. That’s 2-5/16″ wide x 2″ high x 1-5/8″ deep (coming off the mounted surface) for the center brackets. The 1/4″ corner u-brackets measure 2-1/4″ wide x 2″ high x 1-9/16″ deep. For the 1/2″ center brackets: 2-5/16″ wide x 2-1/32″ high x 1-9/16″ deep. The 1/4″ corner u-brackets come in at 2-1/2″ wide x 2″ high x 1-5/8″ deep. The 3/4″ center brackets measure 2-3/4″ wide x 2-1/32″ high x 1-9/16″ deep. The 3/4″ corner u-brackets measure 2-3/4″ wide x 2-1/32″ high x 1-9/16″ deep. If you you you have any questions on our Sooper Sign Brackets or anything sign/banner related, ask away in the comments below. We might just turn your your your question into a full blog post as well. We’ve been carrying a handful of banner hanging and sign holder solutions for a while, however we are really excited about the latest additions to this lineup. Boulevard Banner Pole Mounting Kits let you securely attach your banners to street lamp poles – usually found displayed along streets with multiple banners in succession. Available in 18, 24, 30 & 36 inch wide versions that can be cut down. 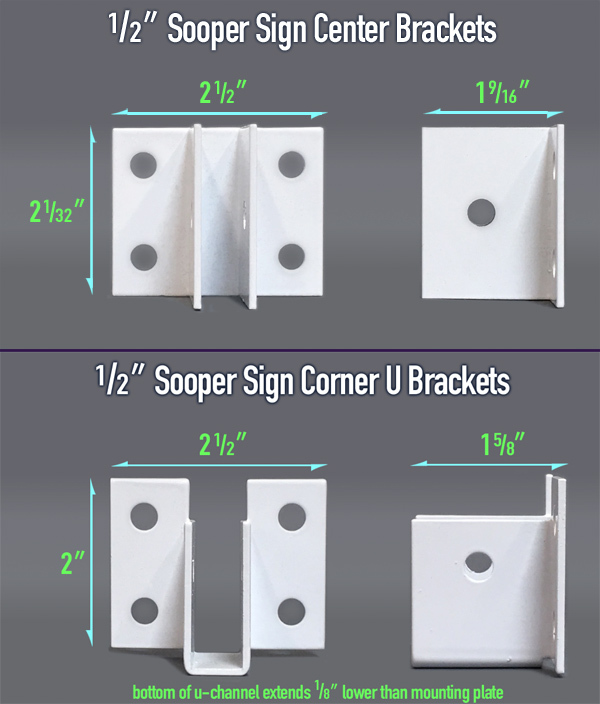 Sooper Sign Brackets are u-shaped and made from extruded aluminum with a white powder coated finish, so they are extremely durable and will not rust. Achieve a super. clean professional finish with just a simple bolt through the sign board. They attach to any wall, column of flat surface and are available for 1/4″, 1/2″ or 34″ thick substrates. 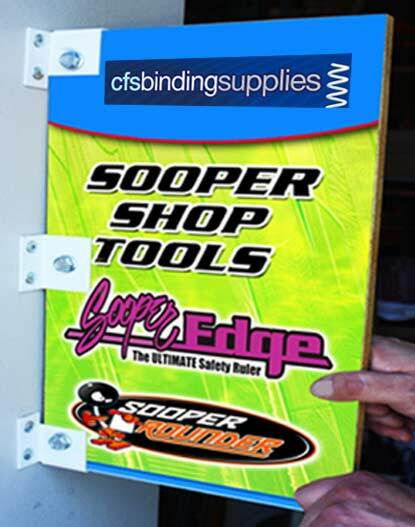 Sooper Sign Hangers are made of the same, durable powder-coated aluminum to hang your signs using nearly any wire, cord, line or twine. Use two per sign board and attach with an unobtrusive bolt on the surface of your 1/2″ substrate. If you have any sign or banner accessories you are looking for, let us know in the comments below. We’d love to hear from you. With knife handles for nearly any hand cutting application, Olfa even takes operator comfort into mind when designing their rubber padded grip models. 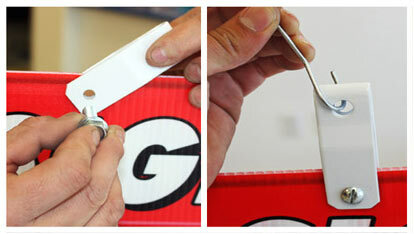 Some Olfa knives even have the addition of a box tape slitter at their tail end, allowing you to easily open boxes without the possible damage a standard utility blade could inflict on the contents. There are even models that have a detachable used blade storage container for safety when dealing with dulled snap off blades. Special cutting applications are no problem for Olfa knives, such as scoring thicker sign boards or cutting perfect circles. 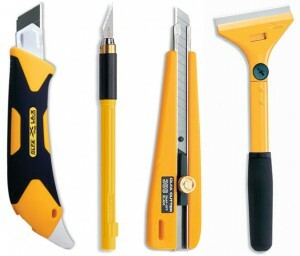 Take a look at the full line of Olfa cutters and Olfa replacement blades from CFS. Do you have a special cutting application for your graphic production needs? Let us know in the comments below. 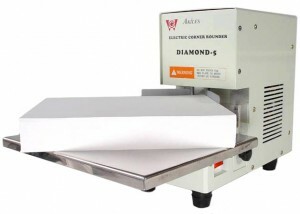 The Akiles Diamond 5 Corner Rounder is a heavy duty, electric corner rounding machine with a massively thick cutting stack capacity of 1.97 inches. It will cut PVC, polyester, leather, paper, polypropylene and other paper or plastic-based materials – making it a perfect corner rounder for signs and displays printed on plastic substrates. The Diamond 5 includes a 1/4 inch radius die while additional sizes in 1/8 and 3/8 inch are available separately. You can effortlessly engage the powered cutting die by pressing on the included foot pedal. This corner rounder is a great option for any production environment with low to medium workloads of paper or plastic materials needing to have corners rounded off. Can you think of a machine type that you’d like to see CFS carry? Please let us know in the comments below. Sometimes finding a way to hang your sign printed on plastic corrugated boards can be challenging. But then, along comes the Sign-A-Bracket that seems to attach to nearly anything. The sheer versatility of this sign mounting accessory is pretty astounding. 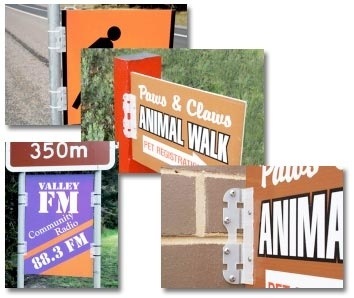 You can strap a sign to a pole, attach it to a post, hang a sign from the ceiling or mount it on a wall or even wrap the Sign-A-Bracket around a corner. Each Sign-A-Bracket is made from recyclable, semi-transparent plastic and measures 2-7/16″ wide x 5″ tall x 1″ deep. It can hold plastic fluted substrates 3mm to 6mm thick. It includes 2 screws and 2 heavy duty plastic tie wraps that measure 10-1/2″ long to allow securing into/on to wood, metal, drywall, concrete, round or square posts and more. Click the image to the right to see a larger view of just a few of the Sign-A-Bracket uses. Got a sign that needs hanging, mounting or securing? Let us know in the comments below and we’ll try to help with the solution.